Pseudopanax are shrubs or small trees. 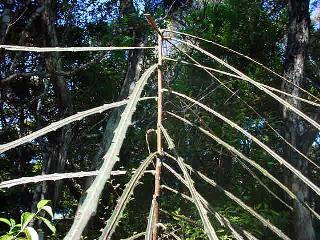 This plant naturally grows as far south as Poverty Bay in Coastal forest and scrub. 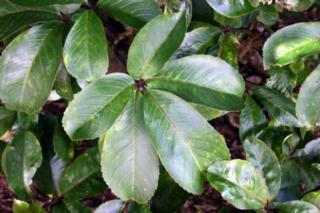 It forms a very attractive, glossy leaved shrub about 5-6 metres high. It grows well in coastal sites, but it is a little tender to frost. Houpara makes a useful specimen for planting in a planter on a terrace or balcony. This is one of New Zealands most common native trees. 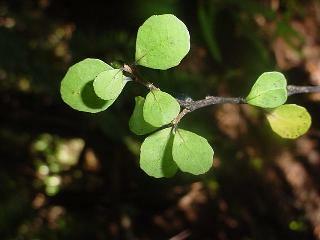 It can be found from Cape Reinga to Bluff in lowland forests. Its particular form of a glossy, five or seven fingered leaf ,along with quick and luxuriant growth, gives a distinctly New Zealand character to any ornamental garden. 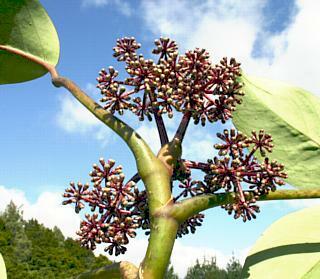 It grows into a stout tree up to 8 metres high and grows well in most soils and situations. One of the most interesting trees of the New Zealand flora. It has a distinct juvenile and adult form and as such was once classified as distinct species. It is a very popular ornamental tree overseas. The juvenile form is particularly striking with its cluster of leaves hanging at 45 degrees from the trunk . After about 15 years the plant begins to assume its adult form. It will produce a number of branches and the leaves become broader so a 6 metre crowned tree is formed. It grows well in most situations and is particularly useful as a feature plant in any ornamental area of your property. The adult leaves of lancewood. Sometimes the leaves are broader than shown here. The juvenile leaf of lancewood. 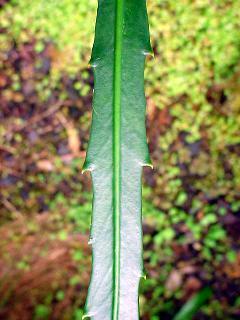 The juvenile leaf of lancewood. An attractive plant confined to Whangaroa and Little barrier Island. Grows to 4m. Note the single and trifoliolate leaf. The most handsome of all the Pseudopanax. It has the largest leaves and creates a tropical feel to any garden. Male flowers of Pseudopanax lessonii. All Pseudopanax are dioecious having male and female flowers on separate plants. Male flowers of Pseudopanax arboreus. 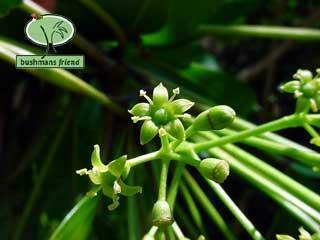 The plant is named because it is an anomaly or quite different to all the other Pseudopanax. It is a divaricating shrub, with small simple leaves. 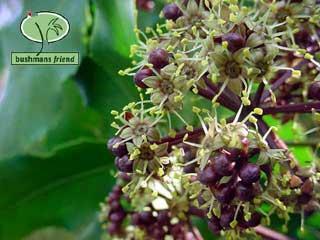 The flowers and berries determine that it be placed in the Pseudopanax genera. Found throughout New Zealand. There is some variance between species as to the requirements necessary for germination. Pseudopanax ferox and P. arboreus germinate rapidly after a period of low temperature stratification, although the final % germination was unaffected by stratification. P. gilliesii germinated strongly 4 weeks from sowing in a glasshouse. In the wild I have seen hundreds of seedlings growing beneath a P. crassifolium tree in June; only a month or so after shedding of seed would have occurred. No seedlings were evident on the ground the previous January although the tree was heavy with seed. I have sown P. lessonii in June and had strong germination by August. In all cases it pays to seperate the fruit from the seeds. It is a good practise to do this for most seeds. The inhibition of germination by the fruit and flesh is interpreted as a mechanism for delaying germination in the wild, with birds removing this source of inhibition and enhancing germination. Do you want to learn more about native plants?.